When you begin a low carb diet you may instantly be hit with a whole bunch of cravings. You want something salty, you want something sweet, you want something warm and hearty…there are so many things you body and mind may be screaming for! These cravings are perfectly natural and happen to almost everyone who has ever started a diet. The reasoning is simple, you just limited or completely cut out something that your body was used to having. Now, it is all your body wants! It needs! Whatever you focus on in your diet is going to be exactly what you crave. Cravings are just a part of diets and while many people just choose to fight through them, they are not necessarily something you should ignore completely. There is a lot to be said for your cravings and what they mean to you and your diet. To begin, a craving can be your body’s way of telling you what nutrients it is lacking. If you are craving salty foods, that may be a signal that your body is low in sodium and it needs to be replenished. Many people have a tendency to think that ignoring a craving is what you should do and that cravings are bad but that is just not the case. Sure, many of us may crave a bag of potato chips just because it tastes good and we want to eat it but when you start a diet, these cravings turn away from basic human wants to essential human needs. When starting a diet, it is likely that your body will be deprived of something essential that you need. This is simply because you are changing the way that you eat and you may not have worked out all the little nuances of your diet yet. If you use to get a lot of your daily intake of fiber from fruit, for example, your new diet may not allow so much fruit. Therefore, your fiber intake will decrease and your body will be signaling you to eat more fiber in any way it can. You’d have fruit cravings not because it is delicious but because your body needs it. If you are getting a craving that you think may be a sign that you need certain foods in your diet, add them with caution. If you think you need salty foods or more sodium, make sure you eat them but within the guidelines of your diet. If you are eating low carb, then eat salty, low carb foods. This way, your body gets what it needs and you get to stick to your diet! Dieting is all about eating smarter and healthier and this is the perfect example. While in the past, you may have craved something salty and just binged on a bag of potato chips, now you know to satisfy this craving, as it may be necessary for the function of your body, but to do so in a healthy, conscious manner. If your cravings are strong, there is a second reason why you should never ignore them or try to ignore them and that is because of your mental health. If you are dying to eat something sweet, it may be all you can think about. You wake up and really want a sweet treat. If you choose not to satisfy this craving, that doesn’t mean the idea of eating something sweet goes away. You will be dwelling on that sweet snack at lunchtime and probably obsessing over it by dinner. If you do not satisfy your cravings, they will be the only thing you can think about. If you have ever diets or restricted what you eat then you know this is all to true! Cravings don’t just go away because you “choose” not to give in to them. Instead, they linger and grow until it is all you can think about. If you are choosing to try a low carb diet, then traditional sugar is off the list. Of course, you may know by now that there are so many sweetener options that are low carb diet approved. So when you are feeling the need for sweet, you can easily reach for one of these! In fact, you can find many recipes for sweet, low carb treats below which we will talk about even more soon! If you happen to have a craving that it seems like you just can’t satisfy, then you should take a closer look at what that need for a specific food may be telling you. We mentioned how a craving can be a signal of a lacking nutrient or mineral in your diet and, if this craving is not satisfied by simply eating a food high in that nutrient, you may be looking at something more serious. If your yearning is something more strong than the norm, you may want to talk to your doctor. For example, if you have an unquenchable thirst, there may be an issue with your blood sugar levels that you are unaware of. This could even mean diabetes. So a simple thing like feeling thirsty all the time could be a signal of something more major. The main idea of starting a diet is to eat healthier (this is true for low carb diets and just about any other diet across the board). While many people will be able to go about their diet as planned with no complications, occasionally your body will react in an unexpected way. Alerting your doctor and working with them in order to diet in the safest, healthiest way possible is essential. By looping your doctor in on your diet you will be doing yourself a huge favor. Medical professionals will be able to offer your tips and tricks that will help you on your diet path and they will also be hyper-aware of you as a patient. This is ideal as your doctor can then monitor your progress as well as any health changes while on the diet. Yes, diets are about eliminating foods but they are also about maintaining and improving your health, Having a doctor by your side will encourage this basis of diets. Now to look at some specific cravings. One thing you may want, especially when on a low carb diet is any salty food you can get your hands on. If you cut carbs, why does your body want salt all of a sudden? What does it mean? When you cut processed foods from your diet in an effort to eliminate carbs, you will also be drastically reducing your sodium intake without even realizing it. All those bags of chips and packaged bars you use to love are gone due to your low carb diet and with them went your daily intake of salt. So, of course, your body is asking you for salt, you just took a lot of it away! Another thing to mention is that when you start eating low carb, your liver no longer holds on to excess sodium as it use to. Instead, it flushes the sodium out frequently. If you have a high carb diet, this encourages your liver to retain salt but when you have a lower carb intake, your body naturally excretes the salt. This is called the “natriuresis of fasting’ and is something that hunter-gatherer cultures have seemed to evolve to compensate for. These cultures where processed foods are nonexistent and diets are naturally low in carbs have a high sodium intake. You should take a page from the books of these ancient cultures and abide by your bodies need for salt! Several doctors who have studied the effects of a low carb diet on the body have recommended that if you consume less than sixty grams of carbs a day, you need to increase your sodium intake by two to three grams (that’s a lot when you’re talking about salt!). So when you feel that craving for salty foods coming on, don’t ignore it! Try to satisfy the craving by consuming salt in a healthy and natural way (many of the recipes below will help you!). If the craving persists, visit your doctor and see what they have to say about your salty craving in conjunction with your low carb diet. There is another craving that you may find yourself getting frequently when on a low carb diet and that is for something sweet. This may seem like something you would expect as cutting carbs essentially means cutting sweets. Sugar has been considered to be an addictive substance that is hard to step away from. In fact, the effects of sugar on the body are similar to the effects of Class A drugs. So, as with any addiction, if you try to stop it, you will feel the effects. The only way to really stop a true sugar addiction is to cut it out completely. If you are opting for a low carb diet in order to do this, then those sugar cravings should be treated differently. If you are trying to overcome a so-called addiction, then avoid sugar. However, if you are just on a low carb diet in order to live healthier and possibly lose some weight, then a craving for something sweet is a craving you should abide by! Just as with a salt craving, a sugar craving is one that won’t go away unless it is satisfied. If you try to ignore your desire for something sweet then the pressure to eat sweet foods will only grown stronger. It is not a bad thing to “give in” to cravings and, in fact, it can be unhealthy not to. If you keep avoiding sweets then you will keep thinking about sweets and wanting them badly. However, even if you wanted to just have a small something sweet to help you through the say, what would you be able to eat on a low carb diet? There are plenty of low carb friendly sweeteners that you can turn to when those sugar cravings hit. In addition to those straight sweeteners, there are plenty of low carb, sweet snack recipes that you can make. Catering to your need for low carbs and also your need for sweets is like a dream come true! So we have covered the two most popular cravings that people have when on a low carb diet and just throughout life in general (everyone wants sweets and everyone wants salty!). Now, it is time to start making your own snacks to satisfy these needs! The recipes here are not only all low carb but they are also full of flavor. There are sweet treats as well as perfectly salty snacks and you can feel good about eating all of them- they all fit into your diet! No need to ignore those food cravings anymore with these drool-worthy snacks. If you have been on the fence about starting a low carb diet, it may be because you were wondering what kind of foods you would be allowed and how snacking may fit into your diet. What would you do on a low carb diet when you craved sugar or salt? Well, that question has certainly been answered here and the recipes below are also your low carb problem solvers. Low-carb snack foods are great for people who are trying to become more physically fit, as well as those who already have strict fitness regimens, such as runners, athletes in training and people who engage in frequent workouts. In actuality, carb free snacks are good for anyone, particularly when the recipes are so flavorful that whether they are low-carb foods or low-carb brownies does not matter to the person enjoying them. These snacks are made for everyone! For those desiring to enjoy greater health while still having flavorful sweet and salty treats, these low-carb foods are the best on the web. Seriously, we have looked through a lot of recipes! The ones that were delicious and also low carb are the only ones to make the list! It is not just us who love these recipes either. These no-carb snack ideas are loved by healthy cooking bloggers and their readers worldwide. 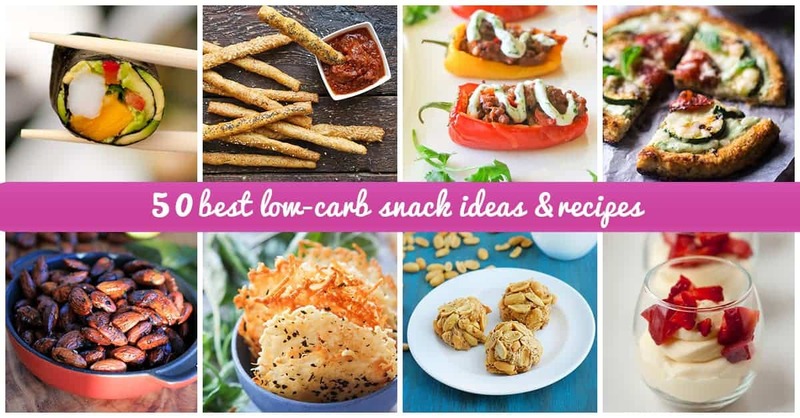 Beyond being nutritionally sound, this collection of low-carb recipes is easy to prepare and provides convenience for those times when you need a great healthy snack in little time. Whether your craving is sweet or salty, based on your nutritional needs or just something you mentally want, you will find a perfect recipe here. Time to start cooking up some perfect sweet and salty snacks! Some people have a sweet tooth. Others crave salty snacks. When maintaining a healthy lifestyle, salty foods can be just as nutritionally damaging as desserts. 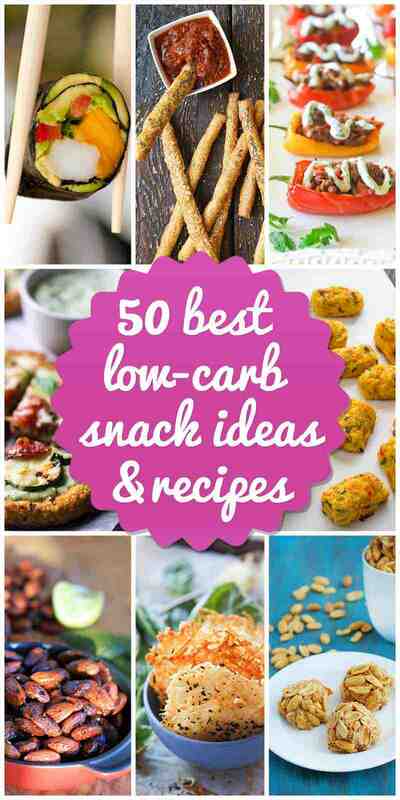 But this selection of 25 enticing and savory low-carb recipes provides plenty of options to keep that desire for saltiness satiated. These no carb snack ideas are so good that everyone in the household can enjoy them, whether they are focused on eating healthy or not. After all, the best carb free snacks are those which can even be enjoyed by teenagers, children and others who never think twice about carbs. Everyone loves pizza. So finding a great low-carb recipe which is both easy to prepare and satisfies the pizza lover in you is a definite coup. This skillet pizza is the perfect Friday night movie snack without Saturday morning workout regret. Step away from the potato chips. 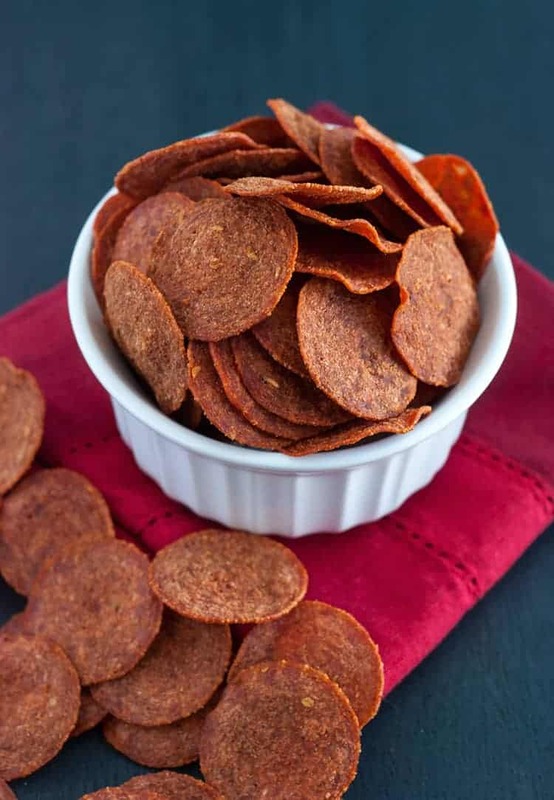 This pepperoni chip recipe is so incredibly simple to make that you can have this great low carbohydrate snack option ready to cure your salt craving in just one minute. Enjoy sin-free with salsa or dip for an even bolder craving satisfaction. For those who love the texture, flavor and experience of eating sushi but cannot have rice, these rolls fill the bill for your no carb diet. The best part? 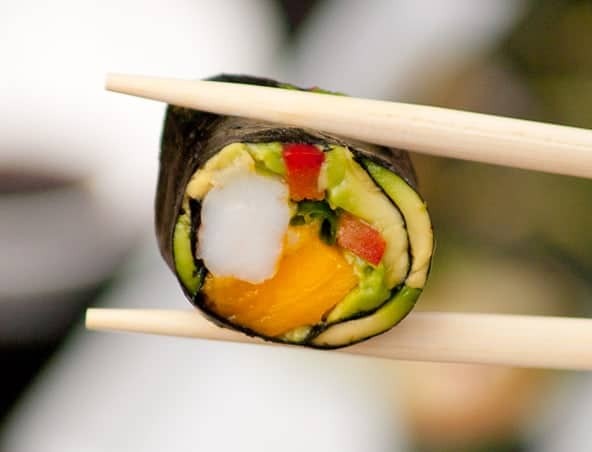 The mix of vegetables, fruit and seafood provide a delightful combination reminiscent of even great California rolls. 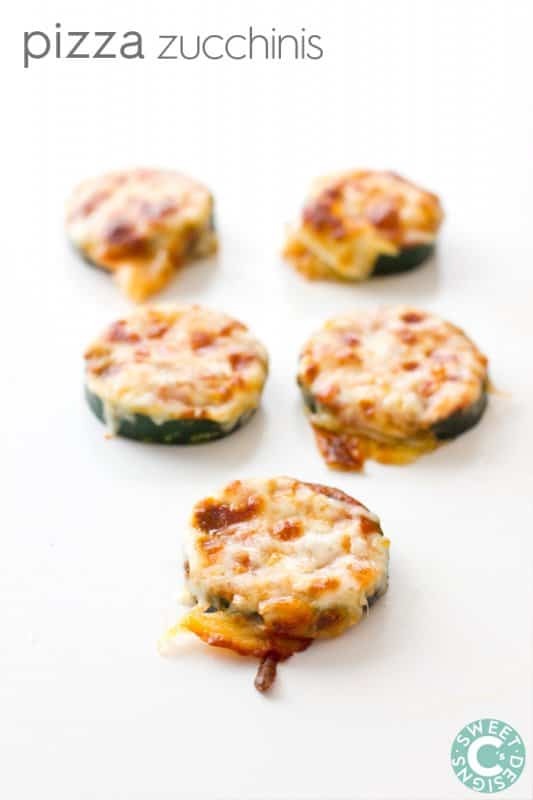 Both low-carb snacks and gluten free, pizza zucchinis make the perfect healthy choice to satisfy cravings or as a quick and easy one-pan dinner solution. 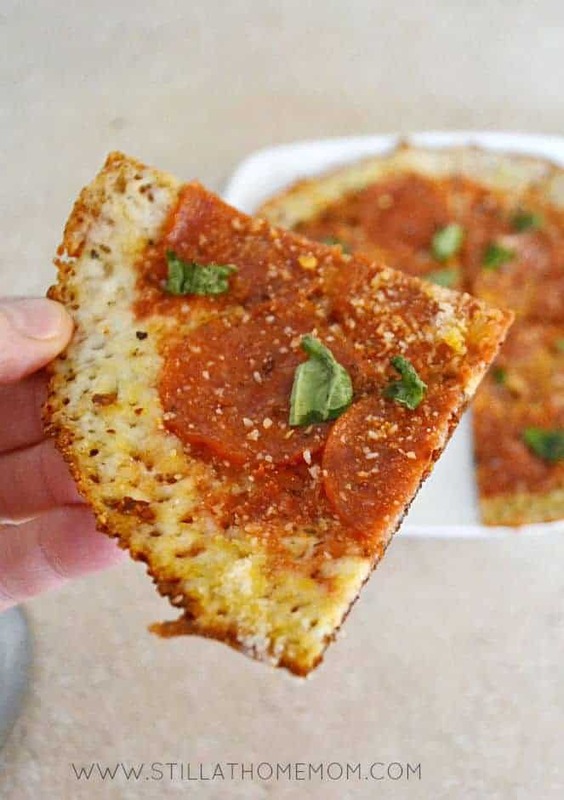 After a long day of school or work, instead of dialing the pizza guy, simply prepare these three-ingredient savory bites. Aaaahhh, bread. Bread is the bane of the low carb dieter’s existence, just as much as it is missed. These breadsticks are made using almond flour, flax meal, and coconut flour. 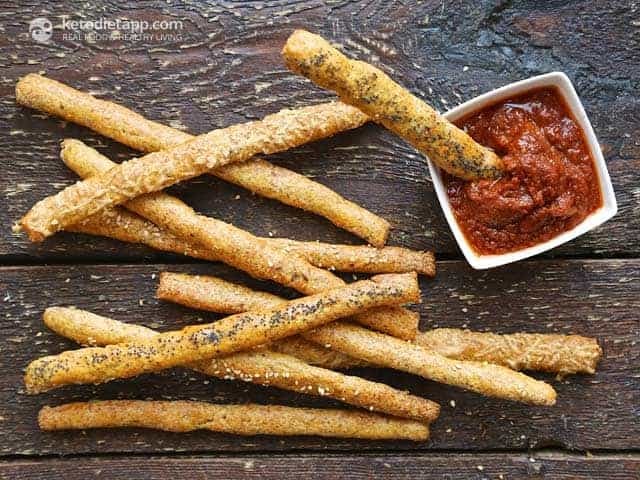 They are great low-carb snacks for dipping in marinara or enjoying with soups. 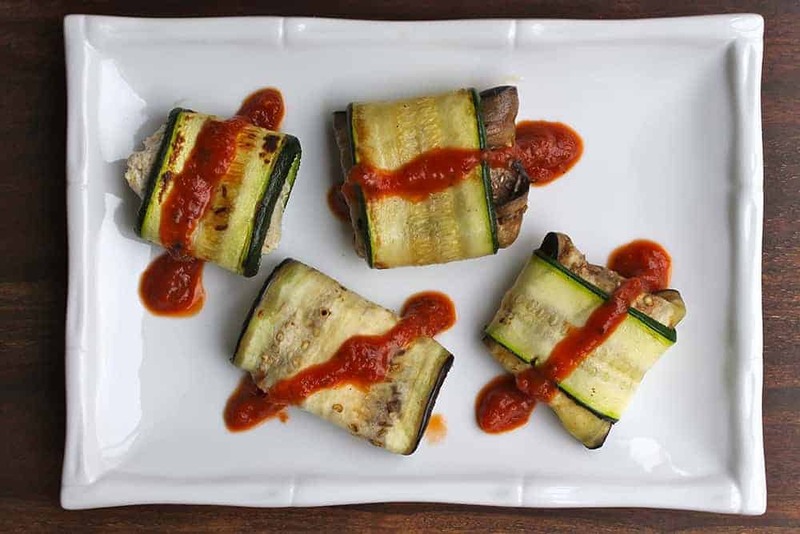 Made using the always versatile veggies of zucchini and eggplant, these low carb lasagna rolls are even good enough for company. The cashew cheese requires a little prep time of up to 24 hours in advance, but the recipe is worth the wait. 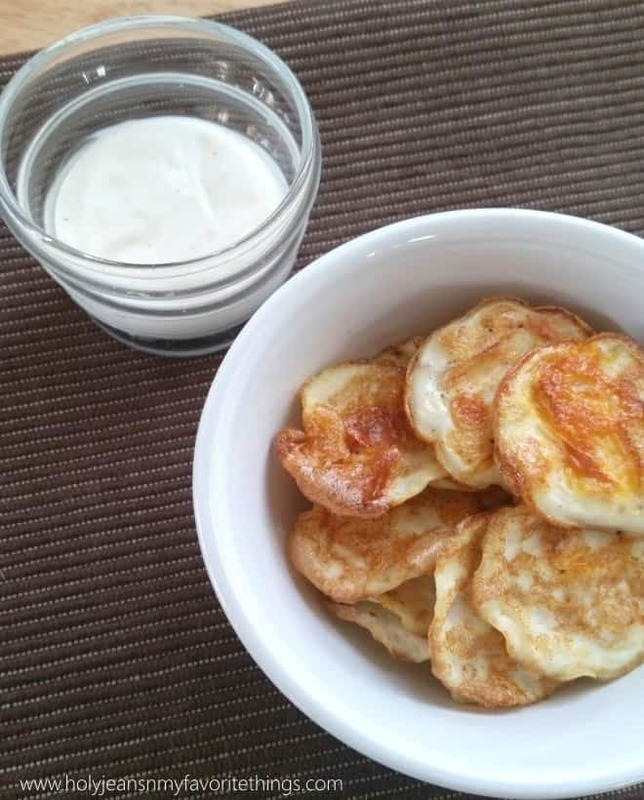 Sometimes cheesy can be too cheesy, even for a someone who craves crisp, low-carb snacks similar to “bad” foods like chips. This recipe ingeniously uses egg whites as the crispy foundation, so you can add just the right amount of cheese to suit your taste. Tacos are zesty and crunchy, but not necessarily healthy. 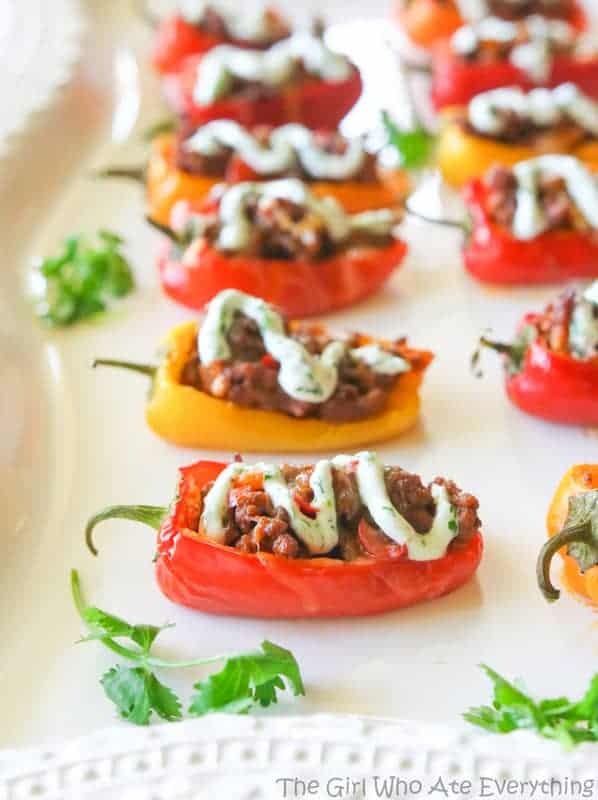 Mini taco stuffed peppers, on the other hand, are spicy, guilt-free low carb bites. Topped with a cool cilantro cream sauce, these pack just enough punch for meals, snacks or as colorful party appetizers. 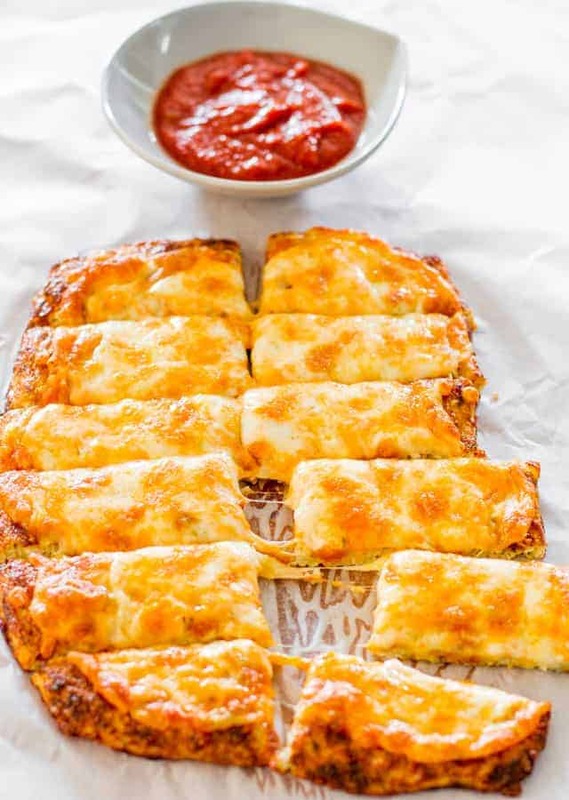 Gluten free, low carb and perfectly cheesy, these cauliflower dough breadsticks fill the void with warm, cheesy goodness you crave. They only take about ten minutes to prepare and then cook in the oven until bubbly and perfectly good. Use leftover dough for pizza. Cauliflower crust never tastes or looks as good as it does with warm, melty cheese draped over it. 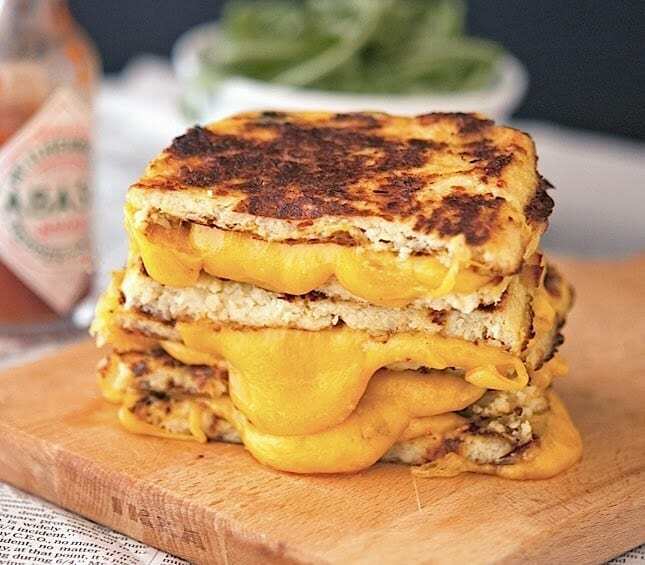 Enjoy a great grilled cheese sandwich? Well, this one keeps the carbs low while sending you to a special kind of mozzarella and cheddar Heaven.